Today, 11 November, is a day of remembrance in many countries. In addition to remembering the fallen, my family has another memory evoked by the day. My brother, John, died on this day in 1982. He was twenty-six years old. He was a professional footballer with Colchester United. I have written about John elsewhere on Clyde Street. Many of these posts have been prompted by R U OK Day. My sister, Judith, and I are the remaining members of our family. We are the memory keepers of John, the youngest member of our family. Thirty-three years on we are still bereft. For my part, like most family members when there is a suicide in the family, I still feel profoundly guilty about his death. I was his older brother and I had an unequivocal duty of care to him and my sister. John’s full name is John Patrick Lyons. He bore the name of his grandfather and his great grandfather. His was a name given for a long life. Whenever I think about John, I remember a talented sportsman. He was an international basketball player, a record breaking athlete, a precocious outside half in rugby, and a goal-scoring striker in football. The photograph at the head of this post was taken after winning the Welsh Cup with Wrexham in 1978. John played in the team that won promotion to the Second Division of the Football League that year. It was a great year for him to be at Wrexham. The team made it to the quarter finals of the FA Cup and the League Cup. When I think about John, I think of the boy that became the man too. 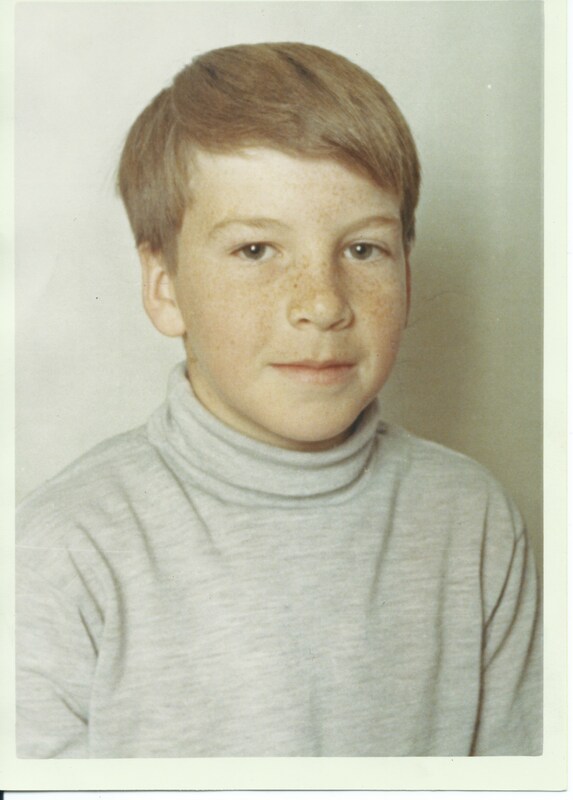 Since his death I have hoped to be a carer for all boys in sport, particularly in high performance sport. It has been a three decade journey that is reinvigorated each day but focused by this day of all days. I am delighted that professional football has recognised how important it is to care for players’ well-being. As a footnote to this post, I would like to mention one person whom I have met who practices the care and compassion that I think is vital for young professional sportsmen and their coaches. It has been my great good fortune to have met David Priestley. He has spent his professional life caring for the well-being of cricketers, rugby union players and footballers. I am in awe of his approach to supporting people in a very public gaze. I think that he and John would have got on. Thirty-three years ago the support systems in football were offered by teammates … and often alcohol. I consider myself to be, first and foremost, a family man. I am a strong person with a calm and reassuring demeanor. I have worked within professional sport for over 16 years alongside international sportsmen, multidisciplinary sport science support teams, elite coaches and executive management teams. With a strong academic grounding and vast applied experiences, I have accrued insights into the human condition and developed ways to help people perform to their personal potential. I have come to critique a performance-based myopia, and instead believe in the importance of actively shaping a high performing environment and a person-centered culture. David’s journey has taken him to some very dark places with players and coaches. As a result of meeting him I have added another layer of care in my practice … aspiring to care for carers who carry enormous responsibilities. In doing this, I remember John and hope that other families are spared 11 November days. I too, carry and share the memories of John. I remember the day he was born as vividly as yesterday and the day he died, as vividly as this morning. But mostly I remember him as a toddler, kicking a ball then rolling by over and, as a young and generous man,buying me dad and I a pint. Isn’t it strange that All Souls Day has to some extent been subsumed by All Saints (All Hallows) which has become the retail frenzy that is Halloween. Given there is only 10 days between All Souls and Remembrance Day, the more dignified approach to the 11th provides a more fitting day to remember loved ones (all be it I guess John is remembered every single day). My guess is that this effect will continue. With the death of Harry Patch in 2009 (https://en.wikipedia.org/wiki/Harry_Patch) our direct link with WW1 has gone. WW2 was very different in that it was a fight against fascism. Many of us will have relatives who lived or fought during this period and remembering them is also, in some part, about recognising the freedoms we have today. It now becomes much easier to remember family and friends on a common day each year. Yes. Thank you for making such an excellent point, Gordon. Australia’s last link with WW1 was Jack Ross http://www.abc.net.au/news/2009-06-03/last-wwi-digger-dies-at-110/1702470 who died in 2009, aged 110. Thank you for finding the post and writing so sensitively. Your post moved me to tears. Thank you for finding the post, Ron. I was in tears writing it … another link between the two of us. My name is Barry Jones. I attended Mold Alun Grammar a few years below you. Like you I have traveled, having lived in Bermuda for 25 years and presently in Canada. I remember John very well and I was very fond of him. John and I played together for Hawkesbury Youth FC in what was a fabulous team, with players such as John, Wayne Lambert, Kevin Dixon (Dicko) and Nicky Davies. It was a fabulous, talented and harmonious group of players and I enjoyed every minute of being in that team. John and I frequently played alongside each other in midfield. He had a marvelous temperament and we always saw eye to eye. John became a successful pro and I played against him several times when he was in Wrexham reserves. We would always give each other a warm embrace before and after the games. I then left for Bermuda but I would sometimes see John on my return trips home, usually in the Tivoli, and we would chat animatedly about our respective careers. 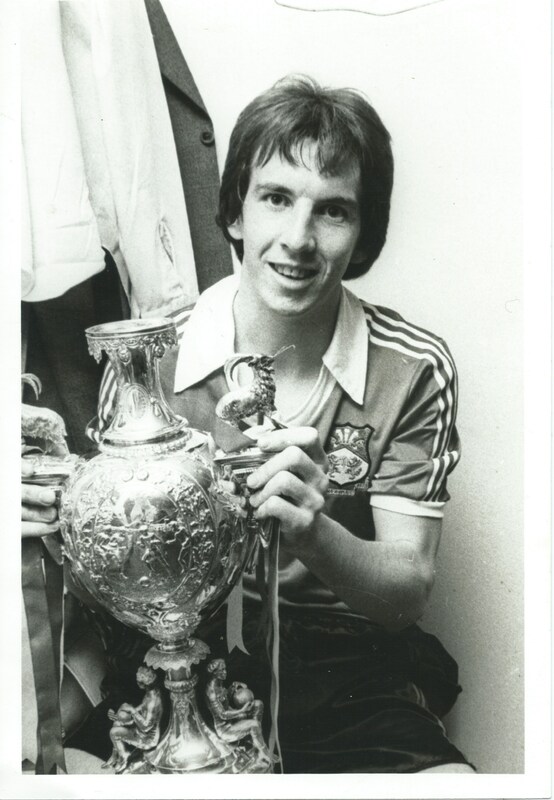 One of my closest friends (and still is) is Ian Edwards, who also played for Wrexham and Wales. On one of my trips home in 1983, I asked Ian if he had heard from John. Ian then told me of what happened. I was devastated. I still think about John even today. My thoughts are with you. Thank you for finding this post and writing such a delightful comment. I thought your team was a special team. It is interesting how a group can come together like that and be connected over a lifetime. Finding your comment in early morning Australia has made this a very special day.